Due to their worldwide use and environmental persistence, antibiotics are frequently detected in various aquatic compartments. Their toxic properties raise environmental concerns to non-target organisms. Histopathology data is frequently applied in ecotoxicology studies to assess the effects of different classes of environmental stressors in fish, including antibiotics. 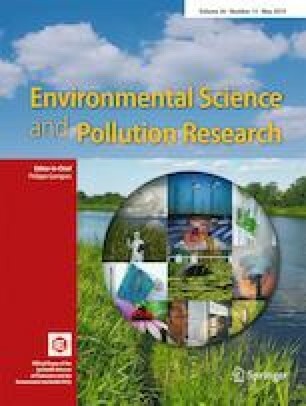 Tissue alterations in gills and liver of gilthead seabream (Sparus aurata) individuals acutely (96 h) and chronically (28 days) exposed to environmentally relevant concentrations of the antibiotics erythromycin (ERY: 0.0002–200 μg/L) and oxytetracycline (OTC: 0.0004–400 μg/L), including a control non-exposed group, were evaluated. Several disorders (circulatory, regressive, progressive, and inflammatory) were observed in both organs of all exposed animals. The hereby obtained data showed a higher and significant increase in gill histopathological index of organisms acutely exposed to ERY and of those chronically exposed to OTC. In terms of categorical lesions, only a significant increase of regressive and progressive alterations occurred in gills after chronic exposure to OTC. For the liver, a significant increase in pathological index was also detected, as well as regressive changes, after chronic exposure to OTC. Furthermore, the present study indicates that most of the changes observed in gills and liver were of mild to moderate severity, which might be adaptive or protective, non-specific, and mostly reversible. Despite being observed, irreversible lesions were not significant in any of the fish organs analyzed. Although there were histological changes, gill apparatus was considered still functionally normal, as well as liver tissue, not supporting the occurrence of severe toxicity. In general, the observed histological changes were not stressor-specific, and toxicological mechanistic explanations for the alterations observed in gills and liver are presented. The obtained data showed that histopathological biomarkers can be successfully applied in ecotoxicological studies, evidencing their relevance, responsivity, and complementarity to other biochemical biomarker-based approaches. Sara Rodrigues and Sara C. Antunes received a Ph.D. fellowship (SFRH/BD/84061/2012) and a post doc grant (SFRH/BPD/109951/2015), respectively, by the Portuguese Foundation for Science and Technology (FCT). Bruno Nunes was hired through the Investigator FCT program (IF/01744/2013). This research was partially supported by the Strategic Funding UID/Multi/04423/2019 through national funds provided by FCT—Foundation for Science and Technology and European Regional Development Fund (ERDF), in the framework of the programme PT2020. This research was also financially supported for CESAM (UID/AMB/50017 - POCI-01-0145-FEDER-007638), to FCT/MCTES through national funds (PIDDAC), and the co-funding by the FEDER, within the PT2020 Partnership Agreement and Compete 2020. This method took into consideration the Portuguese animal welfare testing regulations (Decree-Law 113/2013) and is in agreement with the American Veterinary Medical Association Guidelines for the Euthanasia of Animals.